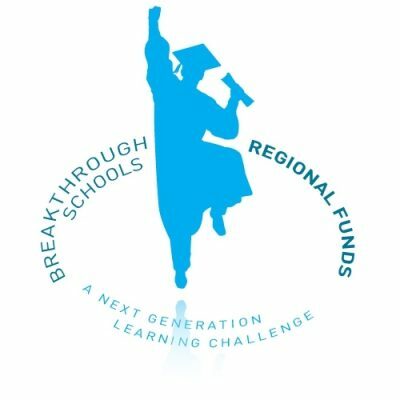 The NGLC Regional Funds for Breakthrough Schools accelerates innovative school redesign at the local level. In 2014, six Regional Funds partner organizations were selected through a competitive application process. A seventh partner was added in 2016. The goal is to accelerate student achievement in these regions by catalyzing adoption of new, next gen learning designs for schools. NGLC is nurturing a school redesign movement with investments to support educators, school designers, and innovation partners to design and launch innovative schools—Breakthrough Schools—to accelerate student achievement through next gen learning models. As we learn from their experiences, we are sharing promising emerging practices across the country. Educators and school designers from the sites joining this initiative benefit from a wide range of locally-based supports and networks provided, in part, by the lead community partners and in part through NGLC’s national programs. Aspiring school designers also have access to grant funds specifically designated to support schools in their respective city. By June 2015, 49 schools were selected to receive funding and supports as a result of this effort. The number of innovative schools designing and launching school-wide models of personalized learning in the Regional Funds sites is anticipated to grow to nearly 100 by fall 2016. What Can the NGLC Regional Funds Teach Us about Local Strategies for Next Gen Learning? A publication from Getting Smart and NGLC, Getting Smart on Regional Next-Gen School Design, illuminates best practices and the individual and collective stories of the NGLC Regional Funds. Each of the NGLC Regional Funds partners shared early lessons in a Dell Foundation podcast series. This blog series examines the Regional Funds efforts through the lens of Ida Hempel's three key dimensions of city-based entrepreneurship strategies. Summer Professional Learning - Discover what the Regional Funds partners provide in summer professional learning opportunities focused on next gen school design. The Regional Funds is one strategy for growing next gen learning across the nation. See below for NGLC grantees who are also taking on the challenge of Building Community to grow next gen learning through networks. The Broad Foundation was founded by the Broad family in the 1960s as a way to support their charitable interests and causes. But with their financial success from the sale of SunAmerica, the Broads focused their charitable giving in a new style of investing that was more akin to their business acumen: venture philanthropy. Today, The Broad Foundations, which include The Eli and Edythe Broad Foundation and The Broad Art Foundation, have assets of $2.1 billion. Their mission is to advance entrepreneurship for the public good in education, science and the arts. Inspired by their passion for children and by a shared desire to improve the lives of children living in urban poverty, Michael and Susan Dell established their Austin, Texas-based foundation in 1999. To date, the foundation has committed more than $1 billion to assist nonprofit organizations working in major urban communities in the United States, South Africa and India. The Michael & Susan Dell Foundation focuses on opportunities with the greatest potential to directly and measurably transform the lifelong outcomes of impoverished urban children around the globe. At CityBridge, we are guided by an unshakable belief in the equal worth of every person: Regardless of station, regardless of calling, every individual has equal value and deserves access to abundant opportunity. For us, this belief translates into service to the children of Washington, D.C., where the majority of schoolchildren face some disadvantage or adversity. We believe schools are the best and most promising settings to address these inequities. CityBridge Education represents the early stage of the school development pipeline: In partnership with D.C.’s traditional public (DCPS) and charter sectors, we incubate and launch new schools and transform existing ones. Our goal: 25 in Five—redesign or launch 25 innovative public schools within five years in our nation’s capital. The Colorado Education Initiative and its coalition partners imagine a future where education is designed to: help students develop the academic, professional, entrepreneurial, personal, and civic competencies that a modern society and economy demand; support educators in creating learning environments designed to maximize these outcomes for students; and promote systems that support and incentivize educators in this effort. New Schools for New Orleans and its coalition partners envision New Orleans transforming from a “C” school system to an “A” system—one that prepares all students for college and career—with effective personalized learning as a key driver. New Orleans will become a national proof point for what is possible when innovative school models operate within a system built on autonomy, accountability, and choice. The structure of the New Orleans coalition, which seeks to scale personalized learning, reflects these principles and decentralized environment. The coalition includes three non-profits: New Schools for New Orleans (NSNO), Educate Now!, and 4.0 Schools (4.0), with the Orleans Parish School Board (OPSB) and the Louisiana Recovery School District (RSD).